At the heart of every great lobbying campaign are the voices of engaged citizens. 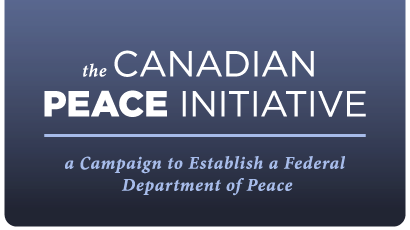 We urge you to write letters and place phone calls to let Ottawa know that you support the creation of a Department of Peace. Emails are useful, but personal letters and phone calls have the greatest impact. Use your own words to tell the government that a Department of Peace would organize peacemaking and peacebuilding efforts so that Canada can succeed in diverting, de-escalating, and preventing violent conflict around the world. The Minister of Peace in Cabinet would provide the vital coordination of Canada's peace-related activities and develop policy aimed at achieving true security based on global social, economic, and ecological justice. Here is a PDF with some further content you can draw from to help you write your letter. It is perfectly possibly to develop strategies to disarm human beings who live in terror and try to terrorise others. It requires intention and a budget, plus courage, determination and compassion – from the top down and from the bottom up. And this is what human beings are capable of.